KUMBA Iron Ore, the Johannesburg-listed firm in which Anglo American has a 70% stake, is to pay a R5.1bn interim dividend following a 23% improvement in production and against a background of stronger prices for the mineral during the period. The interim dividend resumption – its first since 2015 – is a sure sign that parent Anglo American intends resuming its dividend at the interim stage, six months earlier than some in the market had at first anticipated last year. Anglo American is scheduled to report its numbers on July 27 (Thursday). Shares in Kumba Iron Ore raced up 7.8% during the first half hour of trade on the Johannesburg Stock Exchange (JSE) representing a three-month high whilst Anglo American was 4.5% stronger. Its shares also registered a three month high. Kumba said that cash flow conversion was strong with operating free cash flow increasing a significant 48% to R8.3bn resulting in a robust R13.5bn net cash position. 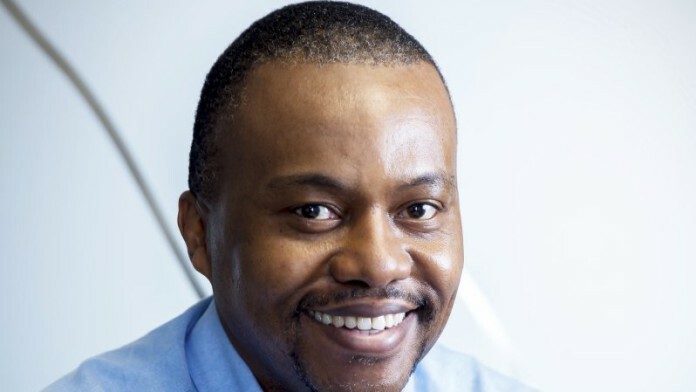 “This has enabled us to resume dividend payments, with an interim dividend of R5.1bn declared representing R15.97 per share,” said Themba Mkhwanazi, CEO of Kumba. “While the overall progress has been very encouraging, substantial effort was required simply to offset cost inflation and there is no room for complacency,” he said. “The team is therefore examining every aspect of the value chain in order to improve Kumba’s ability to endure any future price volatility,” he said. Mkhwanazi said the group was confident that productivity had improved so well that an upwards revision in full-year sales of between 41 million tonnes (Mt) to 43Mt could be made. Kumba’s flagship Sishen would produce a revised 28Mt to 29Mt for the year while Kolomela would produce between 13Mt to 14Mt. Asked in a media conference call this morning how cash flow generation was trending in the second half, acting CFO Johan Prins said: “Cash flow generation will be a little bit down in the second half compared to the first as iron ore prices are a bit softer”. The company said in its announcement to the JSE that iron ore prices were expected “… to remain under pressure in the short to medium term”. Its second half performance remained “… sensitive to the volatility in iron ore export prices and the Rand/US$ exchange rate,” it said. The essential financial metrics for the six months ended June 30 included a 22% improvement in revenue to R21.5bn following improved volumes to buyers in the European Union, Middle East/North Africa and Americas. Overall, sales were up 5% while the average realised iron ore export price was 29% higher at $71 per tonne (2016: $55/t). Operating expenses increased by 11% to R13.8bn compared to R12.4bn in the first half of 2016 principally as a result of the 23% increase in production volumes and inflationary pressure on input costs. However, Mkhwanazi said there had been a pleasing improvement in productivity. Kumba’s operating profit consequently increased by 50% to R7.7bn while cash flow from operating activities was R11.7bn taking net cash to a healthy R13.5bn. After capital expenditure of R1.1bn, the outcome at the headline earnings level was an increase of some 53% to R4.6bn. Goldman Sachs said that while the results represented “a slight miss” on its estimates, the dividend came in “much ahead” of its estimate of R4,96 per share. “We also see this as a positive read across for Anglo American and the big dividend out of Kumba is likely to increase market confidence in the company’s [Anglo’s] ability to reinstate dividend on July 27,” the bank said in a report. To bad their workers didn’t share in the rewards as their incentives scheme was scrapped because of a zero value !!! The workers will they gonna get something ( OPERATORS) ?